Taken from cerealz on imgur. More searching revealed there is a whole Tiny Potato meme, as well as further sayings and art – you can see the whole collection here on We ♥ It. None of these seem to be the original creators, though. Tiny Potato – still a mystery, but now a much, much bigger mystery. Taken from HotMeme.net, but I believe the original was posted to Reddit on their “Daily Inspiration” board. The potato version seems to have been made as a take-off by potato-obsessed Emily of Emily’s Diary – see her Tumblr for all kinds of potato art. Sherlock Holmes would be SO PROUD of me. Elementary, my dear Watson! 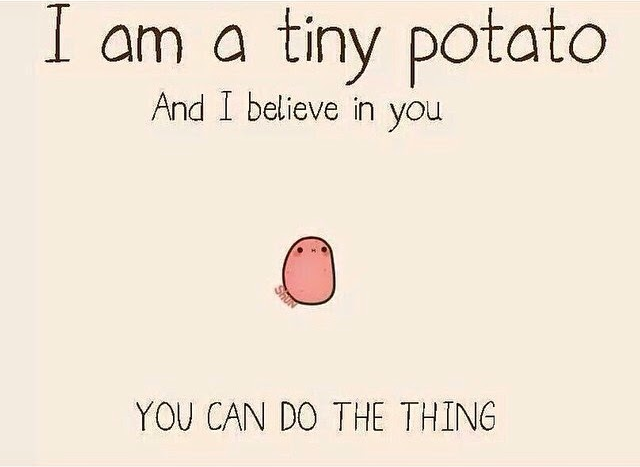 I’ve never heard of this tiny potato meme…so cool. 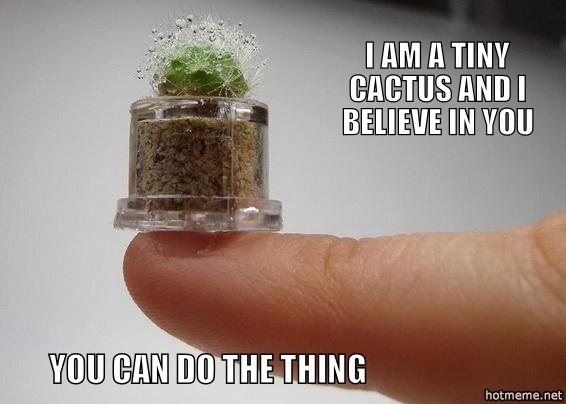 Also – that’s the cutest cactus ever.